Here are some ideas to help you plan a romantic vacation to Eureka Springs in 2013. Can’t be here on Valentine’s Day? Don’t worry, there are great winter vacation specials to help you celebrate your love on another day. Pamper each other with a Duet Massage in one of Eureka Springs World Class Spas. New Moon features some great deals like the 3 Day Mountaintop Retreat offering body wrap, scrub, massage and more. 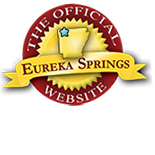 Browse a list of Eureka Springs Spas and book your appointment before they fill up. Relax in a hot tub overlooking breathtaking views of Beaver Lake and the Ozark Mountains. Browse a listing of Cabins and Cottages near Beaver Lake and Table Rock Lake in Holiday Island. Find things to excite you. Downtown Eureka Springs is filled with unique shops carrying everything. Try Bath Junkie and design customized bath products. Explore Quicksliver for handmade jewelry, beautifully crafted pottery, and more. For something a little more romantic visit the Fine Art of Romance. Discover more about Eureka Springs Historic and FUN Downtown. Enjoy life’s little pleasures. Share of bottle of their best wine at Stonehouse, smoked trout prepared with an Italian flare at Devitos, or enjoy cocktails over a game of pool at Lucky 7 Billiards in the 1905 Basin Park Hotel in downtown Eureka Springs. Feel Parisian with duck in citrus jus prepared by French trained Chef Gilkerson at the Grand Taverne in the Grand Central Hotel. Take time enjoying a hand cut and specially prepared filet mignon and a glass of award-winning wine at the 1886 Steakhouse. Line up early for family style Italian at Ermilios on the historic loop. Learn more about the unique and locally inspired dishes of Eureka Springs Restaurants. Reservations are usually required for Valentine’s Day dinner. Stay Intriguing…Intrigue Theater has announced a special Valentine’s Day performance. Learn more about Intrigue Theater. End the day with a well-appointed room at one of Eureka Springs best lodging hotels. Eureka Springs is a historic town. Consider a room near historic downtown at the Grand Central Hotel or the 1905 Basin Park Hotel which overlooks Basin Spring Park. Skip the parking issues and stay at the Best Western Eureka Inn, located at the entrance to downtown. For a special treat, stay at the 1886 Crescent Hotel, a member of the prestigious Historic Hotels of America. Relax near the water at Can-U-Canoe or look out over the treetops from one of Crescent Cottages. Discover more ideas and plan your Winter Getaway to Eureka Springs. 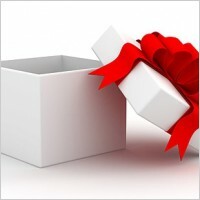 Find last minute vacation deals and vacation specials on ReserveEureka.com. This entry was posted on January 23, 2013 by estcblog in Arts & Culture, Attractions, Basin Park Hotel, Crescent Hotel, Culinary Adventures, Eureka Springs Lodging, Festivals, Fun Downtown, New Moon Spa, Road trips, Spa, The Great Outdoors, Things to Do and tagged Arkansas, art galleries, beaver lake, culinary, dining, downtown, Eureka Springs, Fine dining, food, historic downtown, historic hotels, Winter.